So you head down to the basement and discover several inches of water. For many homeowners, this is a nightmare scenario that can cause confusion when it comes to filing an insurance claim. The first question to ask yourself: Where did the water come from? If a pipe burst, that would likely be covered under your homeowners policy, subject to your deductible and any exclusions in your policy. If there has been a large rain event, such as the one that soaked much of Southeast Michigan in August 2014, that question is the biggest determining factor on whether it’s a covered loss. If your sump pump failed and/or the water is backing up from the sewers, you may be able to file a claim if you purchased an endorsement for sump pump and sewer backup coverage. For an additional premium, you’ll be covered for losses caused by water from outside the house that enters the dwelling or an additional structure through household sewers, drains or drainage fixtures, or a sump pump or sump pump well. These damages are not covered under a standard homeowners policy. This coverage is subject to your deductible and any exclusions listed in your homeowners policy. These exclusions include, but are not limited to, damages from water that leaks through cracks in the foundation wall or that fills up a window well and leaks into the basement. For more information on this endorsement, contact your agent. If any water is coming from the outside through other means (e.g., windows, doorway, cracks in foundation wall), you may not have coverage from your homeowners policy but you may be able to file a claim if you have purchased a separate flood insurance policy. Conventional insurers like Meemic don’t have their own flood policies, but go through third parties. 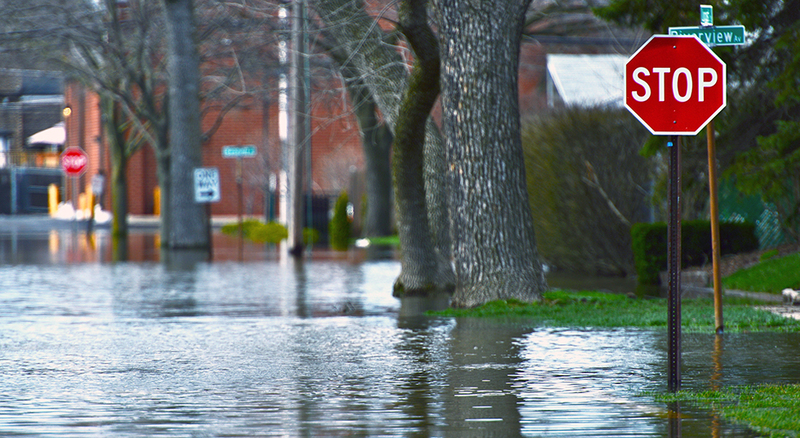 Meemic offers flood insurance through Foremost Insurance Group, a participating insurer of the National Flood Insurance Program (NFIP). The NFIP is administered and regulated by the Federal Emergency Management Agency (FEMA). Contrary to popular belief, you don’t have to live in a “flood zone” to buy flood insurance, but your city does have to be opted in to the NFIP. Mortgage companies often require flood insurance if the home is in a Special Flood Hazard Area (SFHA), which means there is an increased likelihood of experiencing a flood loss. But just about any home can fall victim to flooding, so insurance is available at various rates and coverage levels depending on your location’s flood risk and other factors. When it comes to the basement, though, these flood policies can be restrictive. Your furnace, washer and drier might be covered, for example, but the policies limit the amount of coverage on finished basements and many common personal items that might be stored in the basement. For more information on the NFIP and to help determine your flood risk, visit www.FloodSmart.gov and talk to your agent. This is intended solely for informational purposes. This is not a policy of insurance. Your policy and its endorsements, plus applicable deductibles, determine exact coverages and payment of losses.